On 1 May 2019 Christie’s in New York will auction 15 works from the estate of Lila and Herman Shickman, comprising Old Master and 19th-century European paintings. Herman Shickman was one of the greatest American art dealers of the 20th century. After fleeing Nazi Germany in 1938, he established himself in New York and built a reputation for dealing in the highest quality art works, particularly Old Master works on paper and still life paintings. He operated from his eponymous gallery on New York’s Upper East Side until his retirement in 2003. During his career, Shickman handled many of the greatest masterpieces to come to market, including Rembrandt’s A Man in a Gorget and Cap, which in July 2012 realised £8.4 million at Christie’s in London. He was also the founder and a long-time board member of the American Friends of the Israel Museum. Shickman donated 16 works to the museum, including works by Ribera, Stomer and Mander. He also gifted works by Caravaggio, Ingres and Sweerts to the Metropolitan Museum of Art, as well as a painting by Eeckhout to the National Gallery in London. 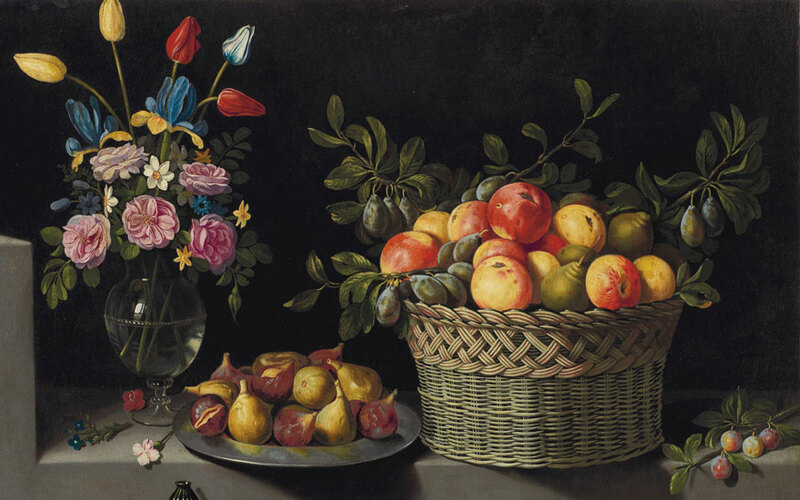 The top lot being offered by Christie’s in May is Still Life with Flowers and Fruit by Juan van der Hamen y Léon. Painted in 1629, the work depicts a Venetian crystal vase of flowers emerging from the shadows surrounded by woven baskets of fruit and vegetables and metal platters of pears and figs – and is one of the most important Spanish still-life works to remain in private hands. Van der Hamen was born in Madrid in 1596, and descended from a Flemish noble family. Like his father, he was a member of the Archers’ Guard, a corps whose members were all from the Netherlands and dedicated to the protection of the King of Spain. His paintings helped to establish an enduring tradition for the still-life genre in Spain that extended through the 17th and 18th centuries. Van der Hamen's Still Life with Flowers and Fruit, which was last sold in 1969, will carry an estimate of $6,000,000-9,000,000. It is thus poised not only to break a world auction record for the artist, but also to become the most expensive Spanish still life ever auctioned. Another highlight from the sale is Luis Meléndez’s Still life with artichokes and tomato in a landscape, which is estimated at $2,000,000-4,000,000. Meléndez was born in Naples into a family of painters — his father Francisco was instrumental in establishing the Royal Academy in Madrid, but a subsequent dispute had a damaging effect on his son’s career. Although Meléndez (1716-1780) is today acknowledged as Spain’s foremost 18th-century painter of still lifes, he died in penury. The Prado has 39 of his still lifes in its collection; the National Gallery in London has two examples; while the Louvre boasts a splendid self-portrait. It is rare, however, to encounter his work outside of Spain. Ahead of the 2 May sale in New York, works from the Lila and Herman Shickman Collection have been on a global tour that began in Madrid before continuing to London, Los Angeles, and Hong Kong.